Deluxe Edition, Included with Origin Access Basic. Available for free from Origin. The ingame HUD is render partly offscreen. Set resolution in videoconfig.txt if crashes on launch. 70-90°. Higher values and viewmodel FOV can be modded. Launch the game with the -window -noborder parameters. Up to 16Q CSAA, Includes MSAA. 2x and 4x TXAA also available. Frame rate is capped to selected or desktop refresh rate. Protanopia, deuteranopia, and tritanopia. Affects IFF glows, crosshair colors, and names above heads. This method is very performance demanding and may decrease your general performance. Set ingame antialiasing to 4xMSAA or 8xMSAA, exit game. 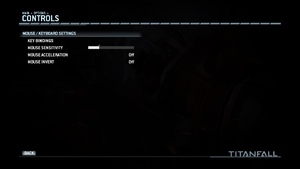 Open Titanfall driver profile via NVIDIA Profile Inspector. No need to change anything else. Apply changes, exit Nvidia Inspector and run the game. Can only switch between pre-defined layouts. Broken in international versions of the game; can be forced via modding. Most languages can be forced by using the -language Language command line argument. Pilot Skirmish gamemode allows for 16 players. Co-op: 4 players. EA suggests that slower connections may be causing these issues, and suggest resetting your modem/router. Accepting an invite to a game that is currently in progress while you are in the middle of a match will crash the game. For now you must exit a match before accepting an invite to prevent crashing. Whenever people are playing in a match on the game, Crackling seems to be a natural occurrence when you are piloting a titan. Hopefully this issue will be fixed, or have a solution found, soon. Though your game's settings will stay the same, your ability to move your crosshair is currently tied to your frame rate. This is specific to Titanfall, since in most other games, a dip in your frame rate just means that you don't get to see as many frames of your crosshair moving from point A to B, but it will move the same distance at the same speed, regardless of your FPS. However, in Titanfall, if you're running at a steady 60 FPS, and run into a graphically intense scenario dropping your frame rate to 30 temporarily, your crosshair will become sluggish and difficult to move. In bad cases, the motion to move your crosshair from point A to B may only move it about half the distance. 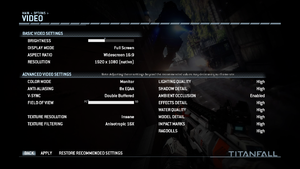 Titanfall uses 1280x720 by default which some monitors may not be able to switch to. Set a supported resolution and save the file. The game should now run normally. Titanfall requires a 64-bit OS and will present this error if you attempt to install it on a 32-bit system. 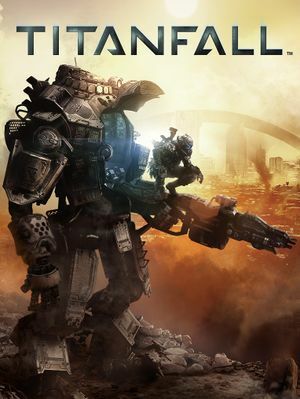 Open the My Games tab in the Origin client, right-click on Titanfall, and select Repair. Users using integrated Intel graphics should install the latest beta drivers here. This can be applied on the router itself rather than on the PC if you'd prefer to use these DNS servers on all devices within your network. This fix may not require any of the other fixes below to function properly. 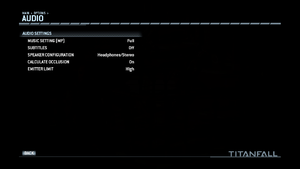 Right-click Titanfall.exe and select Run as Administrator. Set your texture resolution to "Very High"
The "Insane" texture quality option only works with graphics cards containing 3 GB of VRAM or more. Otherwise your computer will be stuck in an infinite loading loop trying to get back texture assets that were thrown out due to memory shortage. This causes the game to constantly stutter. Newest Razer Synapse driver package (as of 11/15/14) included 3 different processes that interfere with Origin in-game, before these processes would stop Origin in game and then Origin in game would not start again. However, the newest driver causes Origin in-game to restart constantly every 30–40 seconds, causing micro-stutter. Go to Manage 3D Settings > Program Settings and search for "Titanfall.exe" in the dropdown menu. If not listed, click "Add" to manually search for the executable. Change the Vertical sync option to "Off" and click "Apply". 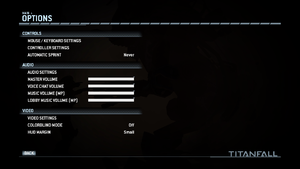 In Titanfall, go to Options > Video Settings > V-sync and select "Double Buffered". Go to Monitor Attributes and uncheck “Use Extended Display Identification Data (EDID) or driver defaults”. Use the Maximum refresh rate dropdown menu to select your desired refresh rate, then click “Apply”. The screen should go black and issue an “invalid input” notification, but this should be considered normal. 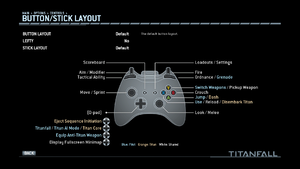 In Titanfall, go to Options > Video Settings > V-sync and select “Disabled”. These arguments must be set in Origin. This page was last edited on 11 April 2019, at 21:29.